Surrey is a wonderful county – so close to London that you can leave home and be sipping a cocktail in Covent Garden within the hour, but encompassing some of the most rural and beautiful countryside in England. This summer we have discovered a fabulous Surrey festival which is well worth a visit. 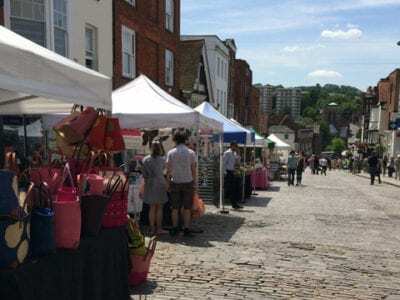 Whether it is rowing down the river in a home made raft, tasting wonderful local beers or even watching some burlesque, Guildford’s Summer Festival seems to have it covered! 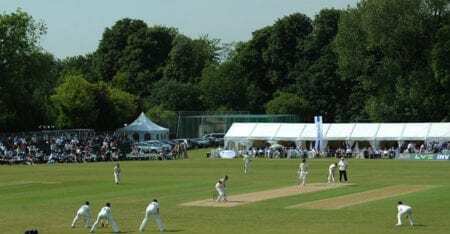 Guildford has been chosen to host this prestigious national event. 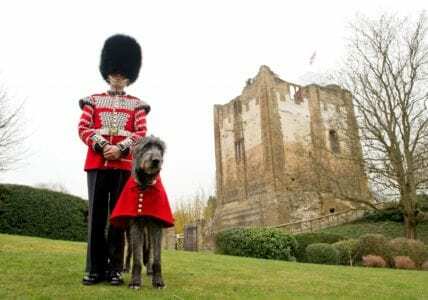 A special service will be held at Guildford Cathedral at 9.30am, followed by a grand military parade at 11.30am starting at the bottom of the High Street, working it’s way to Stoke Park. Attractions include a fly-past of current and historic aircraft including the World famous Red Arrows, the Battle of Britain Memorial Flight and the Swordfish bi-plane from the Royal Navy’s Historic Flight.This very special day will end with a spectacular show at Stoke Park, with stalls and displays from 10.30am and music and entertainment until 7.30pm. Parking will be difficult, but it is easily reached by train or bus too. 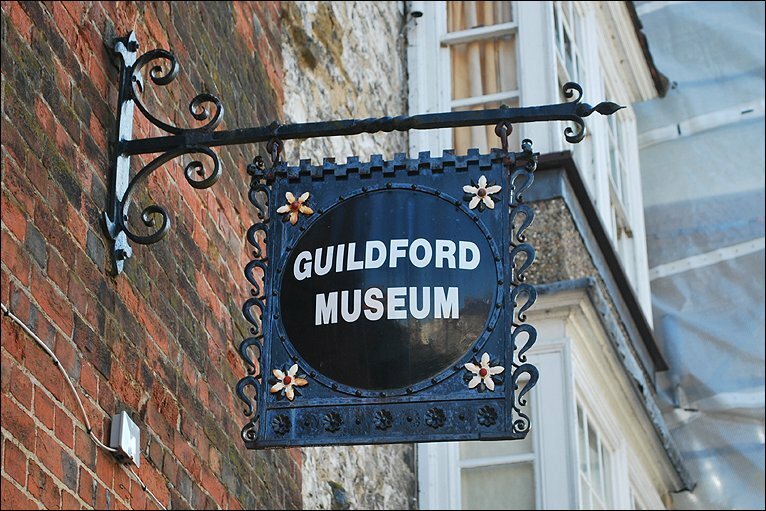 Did you know that there are thousands of artefacts in the Guildford Museum that date back to 500,000 BC to the modern day? 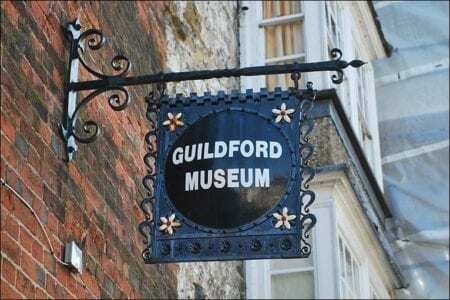 The museum is located in a series of historic buildings which are just a short walk from the High Street. Next time you go shopping, we recommend that you spend an hour or two discovering local history, archaeology and Guildford’s links to famous authors such as Lewis Carroll and the local gardener who inspired thousands of gardens, Gertrude Jekyll. Here is one for the boys (and girls for that matter!). 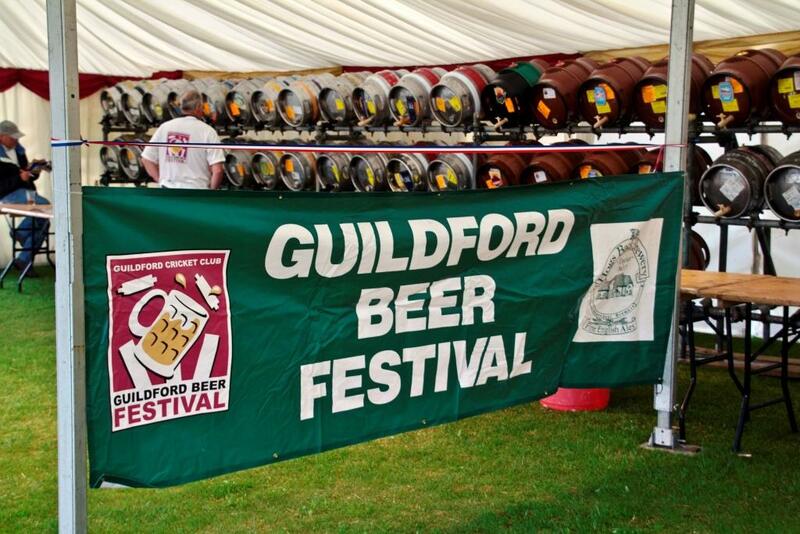 This is the 6th year of this great festival and will be held on the first two days of the Guildford festival. 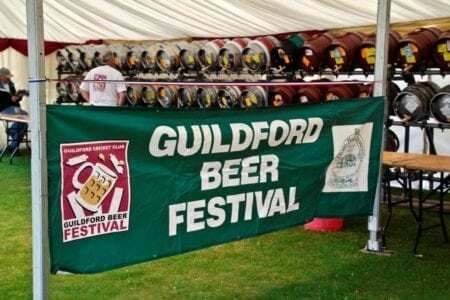 Held at Guildford Cricket Club, you can choose from a selection of over 70 cask ales, a wide range of ciders and a separate bar with wines and soft drinks, when it all gets too much…. There will also be live music with Andertons Music and The Boileroom. This is a must for all cricket fans. Cheer on Surrey CCC as they take on Glamorgan CCC with play commencing at 11am each day. The stands can take over 2,500 spectators, so plenty of room for all. 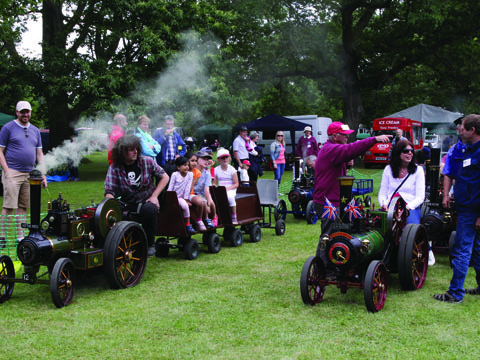 If you fancy something a little different, there will be a miniature steam train rally and exhibition. Modellers and visitors can ride on the miniature trains, see different layouts in operation, observe demonstrations and more. Tickets £8 per adult, £7 concessions and under-16s get in for free. For those creative and artistic bods amongst us, this is one not to be missed. Watch performers and street artists as you browse your way around an exciting range of artworks, ceramics, knitwear, clothing and jewellery as you wander down the High Street. We have some top tips for you for this alternative arts festival: Nell Gwynn’s ‘History laid bare’ on Friday Jul 3rd, ‘The London Poetry Brothel’ on 9th Jul, ‘Topsie Redfern Drag Act’ on 15th Jul and ‘Hundred Watt Club – Burlesque and Cabaret’ on Sat 25th Jul. What can be better than messing around on the river, all in a good cause? 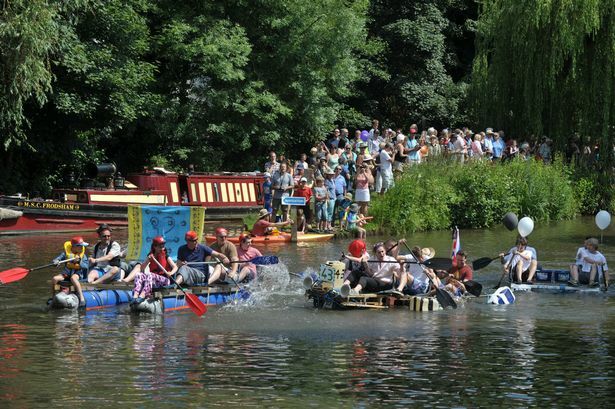 The annual charity raft race is a great event for rafters and spectators alike. This year the home-made rafting teams will paddle their way from Millmead to the Waterside Centre near Woking Road. Raft entry costs £30 plus at least £100 has to be raised in sponsorship. Spectators can watch for free! 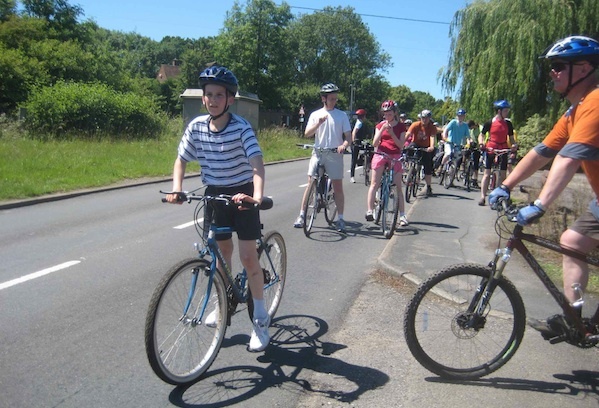 Here is an opportunity to join a leisurely 24 mile cycle ride along scenic country roads and off-road cycle tracks. The ride is organised by the Guildford Cycle Forum. It departs from Guildford Borough VCouncil car park and will pass through many a beautiful surrey village. No need to race here and cyclists are encouraged to stop off for coffee or lunch or both. Taking part, watching and cheering are all free.